What’s the difference between the Right and Wrong side of knitting work? 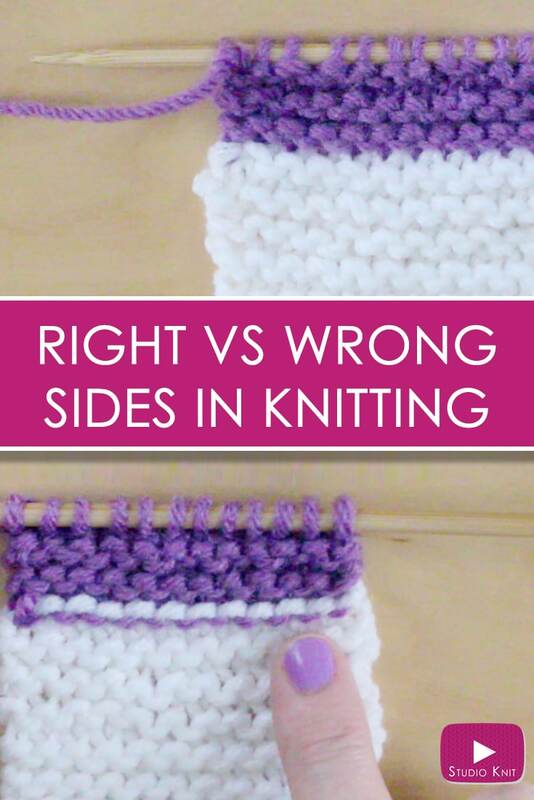 I receive a lot of great knitting technique & terminology questions from subscribers, like “What’s the difference between the Right and Wrong side of knitting work?” You will see this often mentioned in Knitting Patterns, with the abbreviation RS for Right Side & WS for Wrong Side. 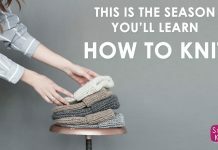 PINTEREST: SAVE THIS TECHNIQUE BY PINNING FROM MY KNITTING TECHNIQUE INSTRUCTIONS BOARD! For a complete step-by-step tutorial of this knitting technique, you can watch my video below. Subscribe to my YouTube channel Studio Knit for more fun knitting ideas! For some knit swatches, like a garter stitch in all one color, the RIGHT and WRONG side is totally the same, since the same knit stitch is on both sides of the work. Once we change colors, the RIGHT and WRONG sides becomes obvious. You can think of the Wrong side as the Back Side. Once we knit patterns, the RIGHT & WRONG side becomes even more obvious. The Right Side is the intended pattern on the front and the Wrong Side is the backside. For a garment, you can also think of it as the public side and the inside. I hope this has helped you understand a simple knitting terminology you’ll often see mentioned in knitting patterns. Happy knitting to you! !